Hi Deborah, I am so glad you are here! Be sure to let me know what you think of the books!! And, come back Fridays for Giveaways! Hi Tracy, I see Samantha reviewed your new book…I’d love to review it for this site…and interview you…I a, booking out to October…please email me :). I am now using McHorsky instead of. willowsky33 ..so, this is still me. Thank you for writing,.,Keep in touch! Please tell me your name, so I can look up your books! I’d love to review one, and do an interview. This is on my list to read. I’ll have to bump it up. I have been wanting to read something focusing on a friendship! 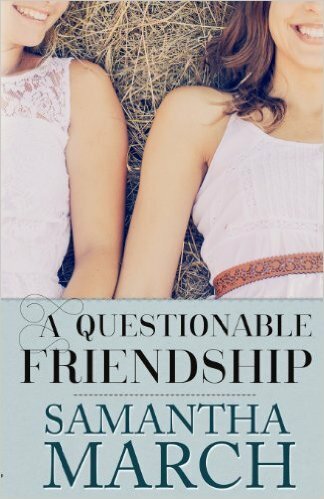 HI, If you want to read about friendship, “A Questionable Friendship” is certainly the book for you. 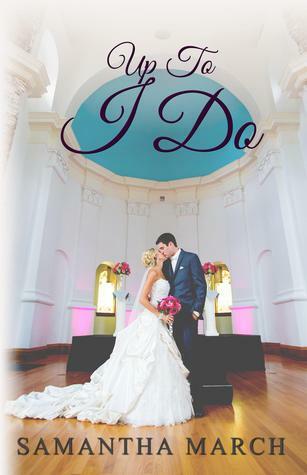 I have entered you in to the Contest to receive this eBook, but you will certainly get the first chapter of her newest novel, “Up to I do”…please email me your information (name and email address for eBook) to anniemcdonnell08@yahoo.com so that we can get you the first chapter..I hope you have an eReader. I’d love to hear more about you and your favorite books..anyone on your list that you might recommend? I actually believe Samantha sent the first chapter in a newsletter 🙂 I’m an author myself and write and love chick lit. Some of my fav indie and traditionally published authors are Kathryn Biel and Jayne Denker as well as Karen Booth. They are all spectacular!